A helpful information resource to help answer all your concerns. Meet Our Consultants, Midwifery/Nursing and Admin Staff. 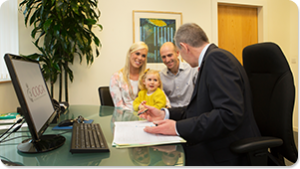 We are a family friendly practice of Consultant Obstetricians and Gynaecologists in the Munster region. We are based at Cork University Maternity Hospital and we all hold joint appointments at University College Cork. We provide a full range of obstetric and gynaecological care, including care for women with uncomplicated pregnancies through to care for women with the most complex or ‘high risk” pregnancies. COGA is distinctive because we are internationally recognised leaders in the fields of research and teaching. We strive to deliver personalised Obstetric and Gynaecological Consultant delivered care.